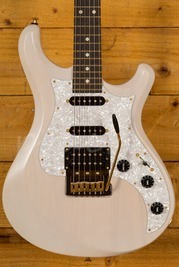 Every once in a while a guitar will come along that perfectly fuses the vintage design we all love with the modern features and functionality we crave. 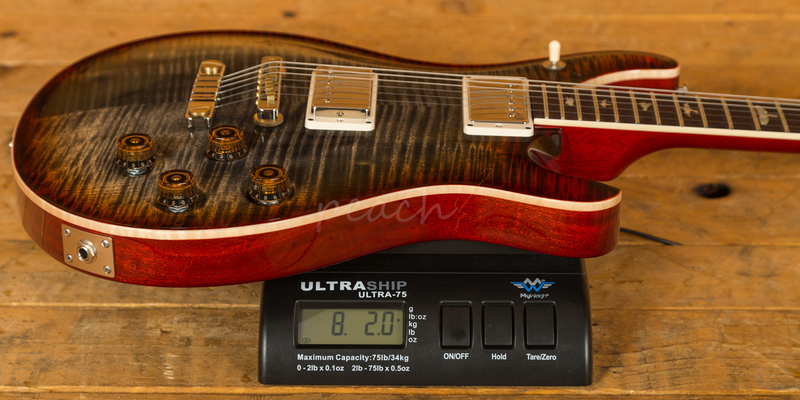 The PRS McCarty 594 is that guitar. 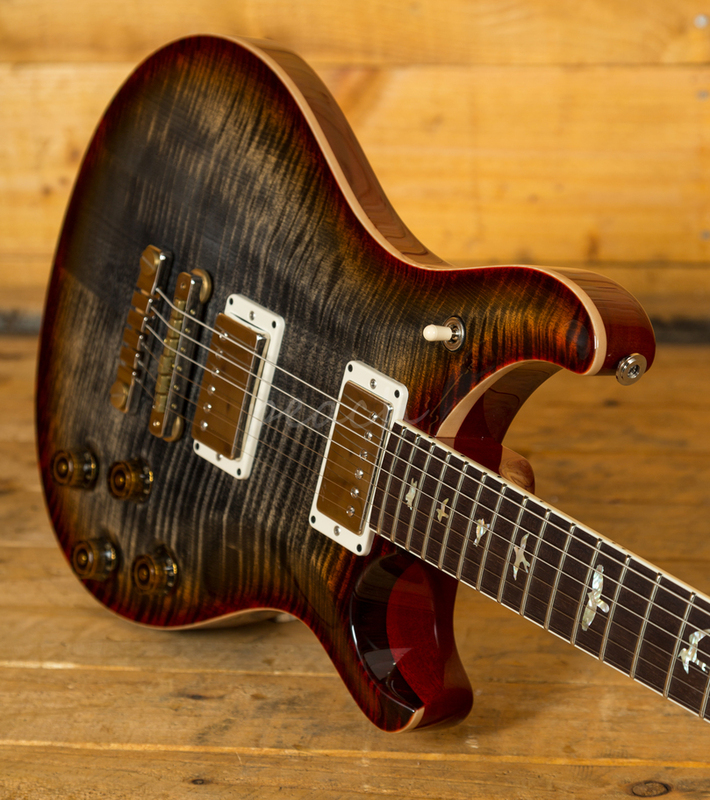 Named after Paul Reed Smith's mentor Ted McCarty, the McCarty 594 is a flawless blend of authentic vintage styling and modern craftsmanship. 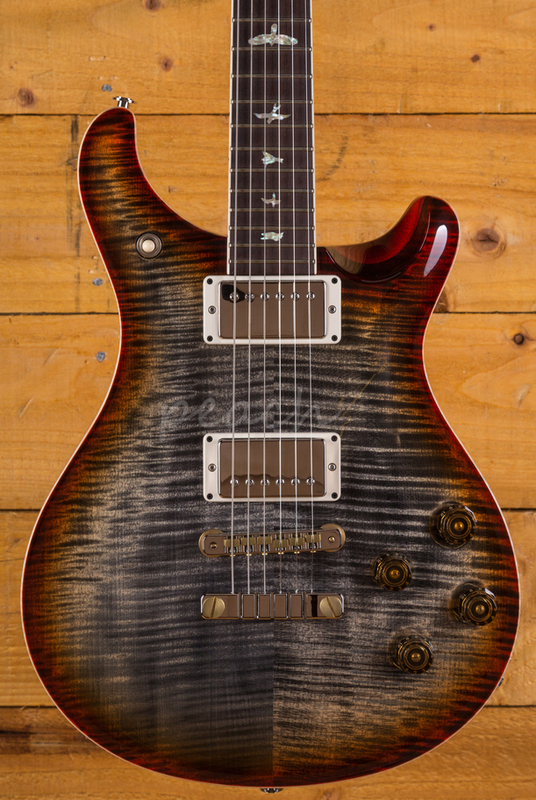 Super versatile and with numerous tonal possibilities, the PRS McCarty 594 is where soul meets innovation. 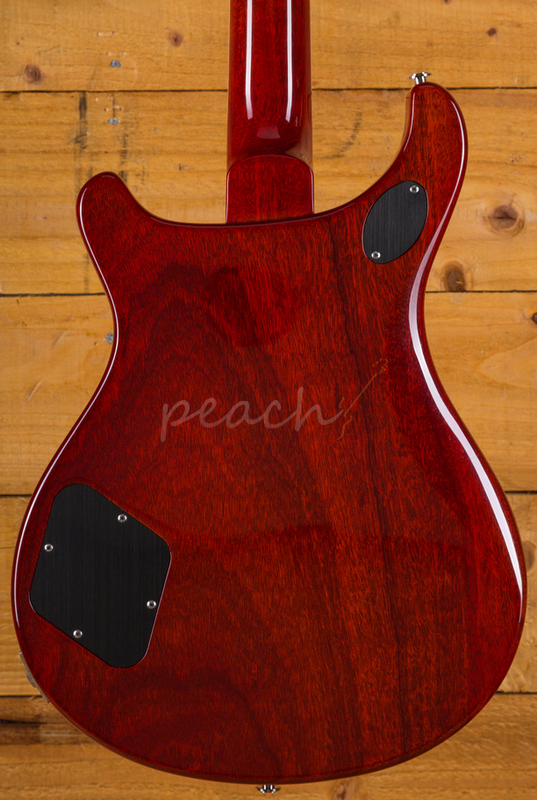 With a lush Maple top and Mahogany back, it looks every bit as good as it sounds. 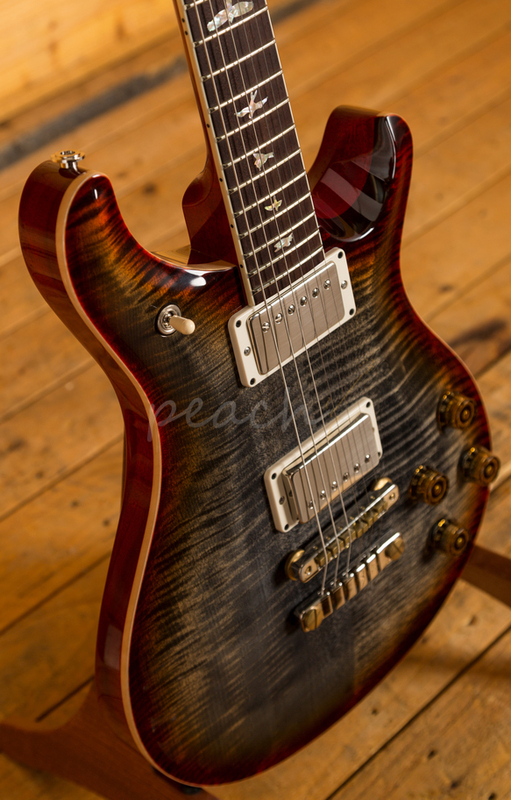 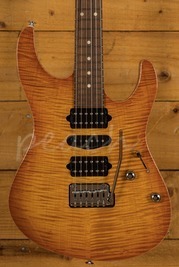 The Burnt Maple Leaf finish is stunning and perfectly complements the guitars premium aesthetic. A comfortable 22 fret neck and Katalox fingerboard proudly bears the signature PRS birds and its 24.594" scale length Mahogany neck, slightly longer than usual, is where the McCarty 594 gets its name. 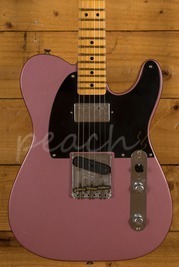 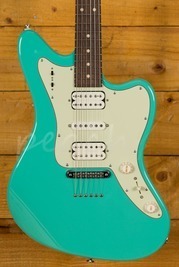 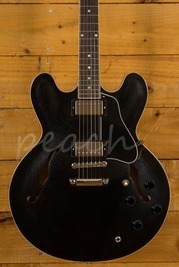 Such an incredible guitar needs to be equipped with a pickup selection to match. 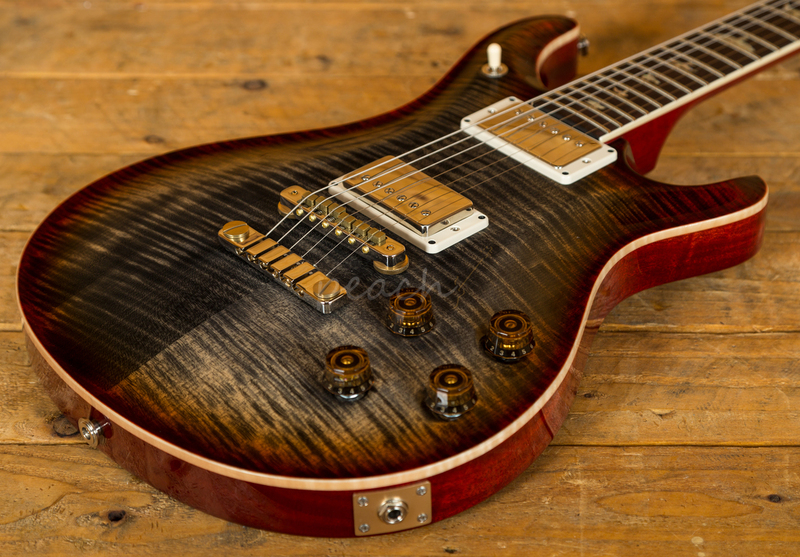 A pair of 58/15 pickups deliver just the punch that this guitar needs, with a whole range of tonal variations, the 594 is a powerhouse both on stage and in the studio.